Korean Chief and his Secretary. Source: Account of a Voyage of Discovery to the West Coast of Korea, and the Great Loo-Choo Island. With an Appendix, Containing Charts, and Various Hydrographical and Scientific Notices and a Vocabulary of the Loo-Choo Language. By Basil Hall (1788–1844). Drawings by William Havell (1782-1857). Printed by John Murray, Albemarle Street, London 1818. Basil Hall commanded the brig HMS Lyra as part of Lord Amherst’s 1816 embassy to the Qing court in China. Britains first accurate account of Korea and Okinawa. Resident of Lile Loo-choo, Ryukyu islands Asia. 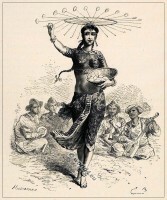 The Egg Dance at the court of Bhopal. 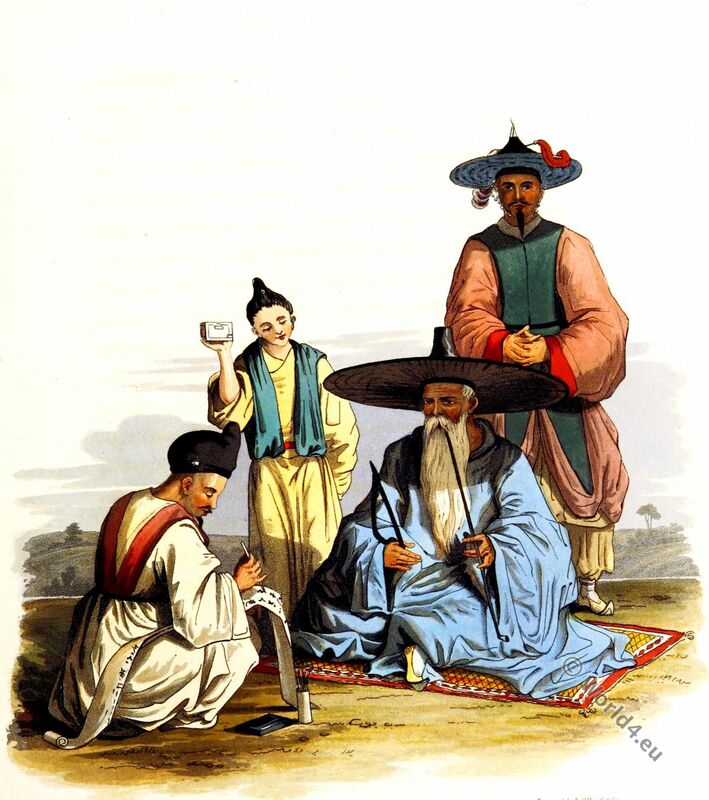 This entry was posted in 1816, 19th Century, Asia, Korea, Nobility, Traditional and tagged Traditional Korean costume on 10/15/16 by world4.